With the arrival of Morten Tyldum’s sympathetic account of Alan Turing’s struggles with German code-makers and Government authorities just a year after a posthumous pardon from the Queen, it would seem that Britain is currently on something of an apologetic guilt trip over the misunderstood genius. Benedict Cumberbatch plays Turing with his typical versatility, avoiding the increasingly stereotypical portrait of a socially-maladjusted genius to provide a tantalising glimpse of the man beneath the psychological tics and barriers. Turing applies for a job as code-breaker for the British government during WWII, and it’s clear from his near-disastrous interview with Commander Denniston (Charles Dance — White Mischief) that he has applied for the position not out of some sense of patriotic duty but because he relishes the challenge of cracking the world’s most difficult puzzle. 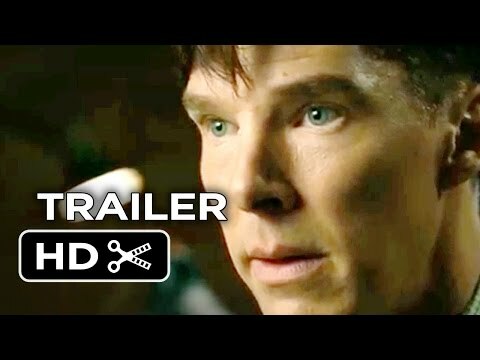 Turing’s frank but unpretentious acknowledgement of his own genius, combined with an unerring ability to identify the shortcomings of others, almost immediately alienates himself from his small group of colleagues, led by the suave Hugh Alexander (Matthew Goode), as he embarks on a solitary quest to construct a machine capable of cracking the German Enigma code while they pursue more conventional methods. He makes himself even more unpopular by making a direct appeal to Winston Churchill to be placed in charge of the operation which meets with success. 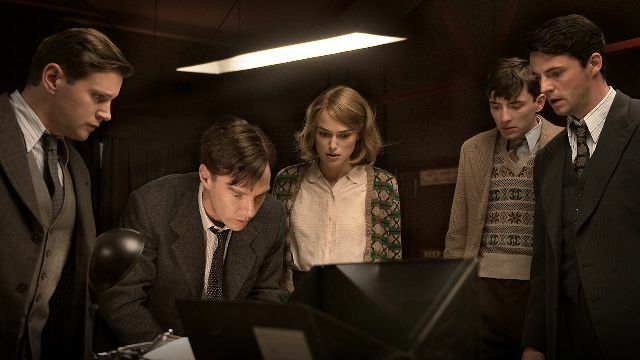 But Turing’s obstinate single-mindedness slowly wins over his colleagues, thanks largely to his relationship with Joan Clarke (Keira Knightley — London Boulevard), a fellow code-breaker whose gender also makes her a fellow outsider in a male-dominated world. Graham Moore’s screenplay (from the book by Andrew Hodges) jumps back and forth in time in order to provide some background into both Turing’s formative years and to follow his swift decline following state-mandated chemical castration for his homosexuality. Unfortunately, it’s a structure that doesn’t really work, providing only limited insight while interrupting the flow of the main narrative strand, which focuses on Turing and his team’s tortuous struggles to break the code. While there’s a strong suspicion that Moore uses artistic licence to create some dramatic situations that probably never occurred (one of the code-breakers has a relative on a convoy that the team has an opportunity to save — but only by effectively revealing to the Germans that they’ve finally cracked their code), The Imitation Game succeeds in finding suspense in situations that really shouldn’t possess any, and I guarantee that the Eureka moment in which Turing and his team finally make their breakthrough will raise the hairs on the arms of all but the most jaded of viewers. Tyldum’s film isn’t without flaws, but it provides intelligent, first-class entertainment.